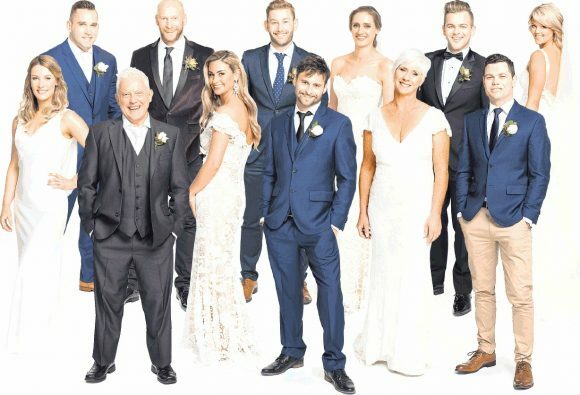 Three’s Married at First Sight NZ continued its blockbuster run on Sunday and Monday, although it was challenged in some key demographics by TVNZ 2’s My Kitchen Rules NZ and Project Runway NZ. MAFS was tops with its core 25-54 demo on both nights but initially lost on Sunday to TVNZ 1’s Meghan and Harry: The Next Chapter. The latter averaged 4.6% and won the first half-hour of the contest but MAFS was in the ascendancy from 7.30-8.30 and wound up averaging 5.1%. MKRNZ averaged 4.5% of this demo and won its slot with 18-39s, seesawed with 18-49s and lost among household shoppers with kids. But Three’s movie, Fifty Shades of Grey, was trounced by TVNZ 2’s White House Down in all the core demos while 1’s Vanity Fair sunk to a season 25-54 low of only 1.5%. On Monday, MAFS out-rated Project Runway across all the key demos with averages of 3.6% – 7.5%, with the race being closest among HHS/k, where only five-tenths of a rating point separated them. MAFS’ popularity ensured another strong showing for 9-1-1, which easily led Australian Survivor except with 18-39s, where the latter averaged 3.6% and the former, 3.7%. Married at First Sight NZ has continued to secure itself as the consistent ratings winner against the competition. On Sunday night, Married at First Sight NZ beat My Kitchen Rules NZ with 107,387 viewers in the commercially important 25-54 demographic, compared to 89,750 viewers for My Kitchen Rules NZ while they were both head-to-head. Three’s smash hit social experiment reached a 22.4% audience share and 5.4 rating point, also winning its timeslot. Last night, it won against Project Runway NZ, hitting a 26.3% share and 7.6 rating, with 141,160 viewers in 25-54 tuning in, compared to Runway’s viewership of 97,059 while they were on at the same time. Additional timeslots wins from 9-1-1 (20.2% share, 4.5 rating) and All New Beach Cops (12.0% share, 1.9 rating) last night helped Three win the night with an overall share of 25.2%. Three also won the night last Monday with a 24.6% overall share amongst 25-54s, thanks to timeslot wins from Married at First Sight NZ (26.4% share, 8.1 rating) and 9-1-1 (22.3% share, 5.1 rating). From 7.30pm – 8.40pm, Married at First Sight NZ was head-to-head with Project Runway NZ and had a total of 148,229 viewers in the 25-54 demographic tune in, while Runway had 99,679 viewers in the same demo. Last Tuesday, Married at First Sight NZ was up against the premiere of TVNZ 2’s The Great Kiwi Bake Off and won the timeslot with a 25.1% share and 7.3 rating. While the shows were head-to-head (7.30pm – 8.45pm) Married at First Sight NZ gained a viewership of 134,828 in 25-54, while Bake Off had 118,218 people tune in. Married at First Sight NZ is also enjoying success online, with VOD up 9% compared to this time last year, and live streams up an incredible 73%. Grand Designs New Zealand is performing strongly on ThreeNow as well, with VOD up by over 30% and live streaming up 56% compared to this time last year. Sunday: Blue Bloods (14.9% share, 1.4 rating). HD Ratings: Doctor Who in Trouble? Hi Philip, are those good news numbers for Newshub Live at 6pm or 4pm? Cheers, Philip, I actually thought it was a typo and was wondering if people are actually watching the news at 4pm. It’s good to see a 4pm bulletin doing well, I wonder if this is going to force TVNZ to bring back 1News at 4:30.